Directed by Benedikt Erlingsson. With Halldóra Geirhardsdóttir and Jóhann Sigurdarson. Opens Friday. 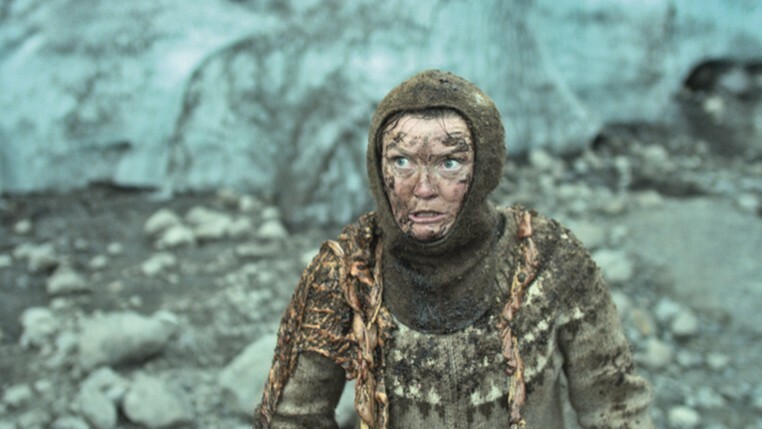 Halla (played by actor Halldóra Geirhardsdóttir) has an earnest, freshly scrubbed, Northern European face. Sensible. Not easily dissuaded. So when we see her, in the opening scene of Woman at War, crashing a power grid by shooting an electrical tower with her bow and arrow, we're ready to believe she has her reasons. She does. The heroine of director Benedikt Erlingsson's quirky, humanistic, determinedly humorous drama Woman at War is so outraged by climate change, and the Icelandic government's seemingly lackadaisical attitude toward companies that contribute to the impending catastrophe, that she takes matters into her own hands. And so the middle-aged, small-town chorus director becomes an environmental guerrilla, and eventually a fugitive, in addition to being a dedicated earth-hugger. The authorities naturally see the unknown "Mountain Woman" as a potential terrorist, plunging communities into power blackouts in an attack on ordinary people. But Halla and her "cousin," a burly farmer named Svenbjörn (Jóhann Sigurdarson), know that she only targets multi-national corporations that value profits over the health of the Earth. The police deploy helicopters, drones, video surveillance, DNA evidence techs, and listening devices (she and her allies always put their cell phones into the fridge when they want privacy) against Halla, but she perseveres. Icelandic environmental saga pulls all the right strings.